THE SKINNY: I love a conditioner that smells great and fights tangles. Bvlgari's conditioner does both. But I just can't see myself ever paying $45 for it. 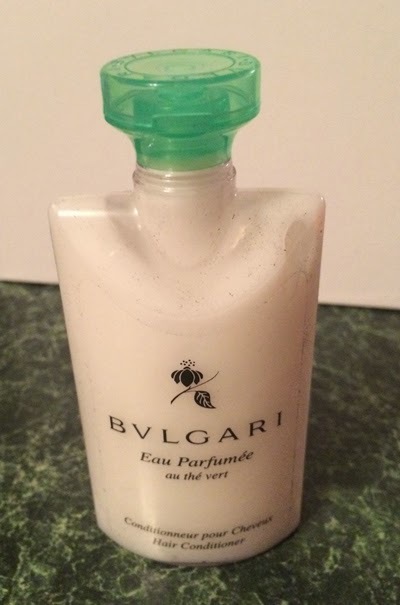 The scent is light and fresh -- what you would expect if you have ever used a Bvlgari fragrance -- and does not "stick" in hair too long. It smells great in the shower but is not overpowering after you style hair, so it won't compete with other scents that you might be using. CHECK IT OUT: You can find this conditioner at department stores or get it direct from Bvlgari. There's also a matching shampoo.